I can be a rebel, not in a bad way. I’d like to think it’s for a good cause (you’ll have to let me know what you think). Here’s the thing…I don’t like to conform how things are usually done and with money goals it is no different. 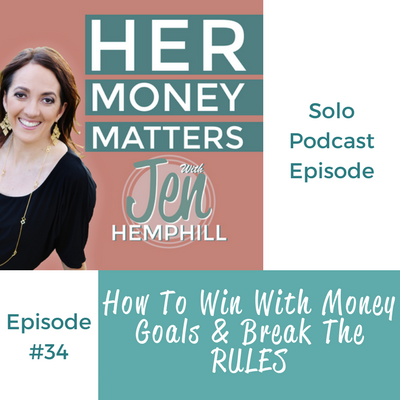 In this episode I “break the rules” of goal setting and give you a different approach that is simpler and will help you better win with your money goals. $1 Trial for one month in the Fearless Money Sisterhood membership program! I’d love to hear from you! Are you going to participate in my 48 hour challenge? Be sure to let us know in the comments below. 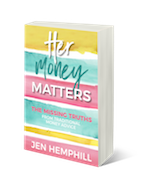 [0:00:26] JH: Hey there, this is Jen Hemphill and you have tuned in today so I want to thank you as I definitely don’t take it for granted as they’re so many wonderful podcasts out there that you can listen to but you chose to listen to me on the Her Money Matters Podcast. I really truly appreciate that. Now, today’s episode I’m excited about because I have to let you in on a little secret. I have this rebellious side to me and I’m going to share a bit of this rebellious side. Nothing bad but it is rebellious because you see I don’t always like to conform to with how things are done. I’m not always content with that. So hear me out on this. Sometimes when we conform, we forget to listen to ourselves, we forget to trust our instincts because really, nine times out of 10, if you think about it, we really know and we have the answers inside of us if we listen to ourselves and we have that confidence in trusting our instincts. Granted we definitely don’t know everything but we can take what we learn and what we know and make that best decision for us, by us, not a decision that experts say we should make. What I see happen, especially with finances is that we listen to these experts, financial experts, money experts, whole heartedly and try to follow what they say but then sometimes it doesn’t work for us. I’ll tell you why I think that is in a bit. My mission today here is to share with you a slightly different perspective and really a rebellious one when it comes to creating goals. What you’ll learn in today’s episode: You’re going to learn why our money goals aren’t working for us, I’m going to share with you the four part framework in studying goals and I’m going to tell you what circles and lines have to do with clarifying your goals and why it’s important to be flexible. Before I do that, I like to do shout outs here and there. I definitely want to do one this week to one of our listeners. Her name is Shana and she has just been an incredible and an active and supportive participant in our Her Money Matters community on Facebook. If you haven’t joined us, definitely join us in there, it’s been a lot of fun and I have to say it’s been really great getting to know Shana. There’s something really special about connecting with someone when they have been listening to you on the podcast. She has been a very great at welcoming the new people as they come in and this one particular instance, she was welcoming a new member and in this interaction between this new member, she shared how much she has learned from the podcast and how she finally created and is sticking to a budget. That is just awesome. I want to celebrate you Shana on a job well done. It’s rewarding to me because my mission here is to give you guidance in the most simple, doable way while providing you that motivation that you need and hopefully inspiration. That’s really just a small part of the whole picture because a big part is taking action. You have done that and have been successful with it so I want to give you a virtual high five, a fist bump and a big hug from me to you Shana. Keep it up seriously. You’re doing an amazingly great. Now, on today, let’s go ahead and dive in to today’s episode. There’s so much you want to achieve with finances right? That’s all of us. Just thinking about it--that alone in itself can be overwhelming and actually it can be a barrier for you to move in forward. Today I’m going to break this down so it’s super clear and of course simple because simple is such a beautiful thing and what I’m all about. Just so you know, I won’t get super specific in figuring out the numbers, I’m just going to give you the general framework to work from. Let’s go ahead and talk about this framework, this is a four part framework and this framework’s really been inspired by different things that I have learned and applied over the years and that has really worked for me. What I’ve done is I’m taking little bits and pieces from the different things that I’ve learned and applied and has worked and I’ve put it together and I’m applying it to your personal finances. The first part of this framework is getting clarity, gaining clarity because gaining clarity is really… remember I told you I was going to share with you why our money goals aren’t working for us. This is the piece why I think why it’s not working for us is because we’re not clear, we don’t have clarity as to what we want. We are only following what the experts want us to do, what we’re told and what we think we’re supposed to do but what we really need to do is get clear as to what we want in our life and really know what that looks like. So this first part of the framework of gaining clarity is just all about listing what you want. We’re not going to worry about the terms of SMART goals and all that, we’re not going to worry about that here. The first part is just listing everything you want, you can say your goals, what you want out in life and just focus on writing this as much deep tale as possible. That is the first part of the framework because usually when people talk about goal writing, I can’t say that they never talk about this but you don’t hear this enough. They just tell you to write goals and write it and what the acronym SMART. But I want you to shift and take a step backwards and gain clarity as to what is it you want in life, what does that look like? And list all those things and don’t be afraid to dream big because that’s something that I think we have forgotten to do, some of us. Just make sure to think big, list out everything you want. Don’t worry about the how to at this moment or if you're starting to have doubts or fears, let’s not think about those things, just list, give yourself permission to allow yourself to receive these things that you want, to receive the life that you want. That is the first part of this framework is gaining that clarity. The second part is about prioritizing. That’s something that is sometimes a challenge for people that I’ve worked with is prioritizing those goals because again it comes down to “what should I do first”, right? We want to look at the experts and “you should pay this high interest loan off first” but in essence, you really need to look at again getting clarity on what you want and listening to yourself, not being afraid to listen to yourself. In prioritizing, there’s three steps that I recommend you take. The first part is designating, you’ve got this list right? Of all these things that you want to accomplish, that you want to achieve and you want to designate whether they’re long-term or short-term goals or maybe somewhere in between, maybe there’s some midterm goals that you can do that too. For example, maybe you’re looking to buy a house and you want to save enough money for a down payment for a house, that could be a long-term goal or maybe that could be a midterm goal. Really, this all depends on your bottom line. The bottom line being what is left over, your income, you have a certain amount income that comes every month minus all your expenses. If you subtract the expenses from the income, that becomes your bottom line, that becomes your disposable income that you have to work with. And so these goals, whether they’re long-term or short-term or midterm, can also depend on your disposable income, what you have to work with and how big or small your goal is, right? So a house down payment could be a long-term goal, it could be a midterm goal, depends again on that disposable income of on how big that down payment is, let’s say trips could be a short-term goal. Maybe it’s a trip you want to take this year, that’s definitely a short-term goal, maybe it’s a trip that you want to take in the next couple of years. A car, saving for a car could be a short-term goal, it could be a midterm goal depending on what kind of car you want, when you want to buy the car, all that good stuff, how much you want to spend. That’s the first part of prioritizing is really looking at whether it’s long-term, short-term, midterm and then you want the second part in this as being honest with yourself. Is this realistic for you? Are you committed to doing this okay? Realistic for you in terms of what you’ve already done in the past. Let’s say you, let’s go back to the house example, the down payment for the house. Let’s say you’re wanting to save $20,000 for a down payment and you want to save that in three years’ time. But yet you haven’t recently even managed to save a thousand dollars. Maybe that’s not a realistic goal for you. You also have to consider also your disposable income. I want you to think of those things that’s why I bring up commitment, okay? So maybe it’s not realistic, but are you committed? You want to ask those questions, “Is this realistic for me?” Look at your past actions, your past history if you will with what you do. And are you really, truly committed? Then the third part of prioritizing is ranking in the order of importance for you. You want to do that for each of those categories, you have — let’s say you have various long-term goals, you’re going to take all those goals in that long-term category and you want to rank them in order of importance to you. Listen to you, not what the experts say, not what others think you should do but listen to you. You do the same for those short-term goals, all those things that you want to achieve that are short-term, you want to rank them in order of importance to you. Again, listen to you. The answer really is within you know what you want. Don’t worry about if it’s the right thing to do but you got to listen to what you want. Then the third part of this framework is really about creating a road map for your goals. This is where it gets fun and this is where the circle and lines come into play. What you would do is just in this you’re going to map out everything you do need to get this done. I’m going to take you what this looks like and then after this we’re going to go through an example so that way you get a better idea how it works. So basically what you can do for mapping this out is you can pick one goal, let’s say your top goal, let’s say whether your short-term. Let’s do something that you can have a quicker win, let’s say, well I’ll give you an example later okay? You're going to take out a sheet or paper and in the middle of the sheet of paper you’re going to write this top goal, top thing that you want to achieve okay? You place circle around it. Let’s go ahead and actually, I change my mind, let’s go ahead and do the example as I take you through this. Let’s say you want to go on a trip to Cancun. So in that sheet of paper, in the middle of it you’re going to say “Trip to Cancun” and you got to put a circle around it. Then you’re going to draw from that circle where you wrote the trip to Cancun, you’re going to draw a line out from that circle and then you’re going to write a task, all the details, one task form this line of what you need to achieve this. So in this case for the trip to Cancun, one of the task would be decide when you want to take this trip, right? That would be one task. And then you’re going to write other task, let’s say, another task would be figuring out how much it cost to go to Cancun. So plane ticket, room and board, food, expenses, all that good stuff, that would be another task. Another example of a task may be currently you don’t have much disposable income to save for the trip. So another task could be looking at your expenses or your spending habits and seeing where you can free up some money, right? Another task can be, so that could be another line, could be about creating an account so you can start putting money aside that could be another task. Another task maybe could be creating a high side hustle to generate more income, it all depends. So I’m just giving you example to get you thinking on how you can do this okay? Then, you’re going to think of all the details, take some time, you’re going to think about all the details that it would take to achieve this goal right? And I want you to dig deep because really not all the tasks are going to involve money itself. There’s going to be some that are mental tasks like those that build your confidence like maybe you’ve been wanting to visit Cancun but you just don’t see how it can happen, you don’t believe that that could happen right? One of those tasks will be to gain confidence and to get over that mental block that you don’t think you can make it happen right? That would be a task. You’re going to have those mental task and you’re going to have those physical tasks like we just talked about. Then, once you did that, just label those tasks as mental or physical. So just put, you can write next to it, you can highlight it however it makes it clear. Then, the next step that you’re going to take, you’re going to prioritize those tasks. So in terms of, you’re going to think about in terms of duration, the difficulty, will power that it may take to complete the task and you’re going to reassess and make sure that once you look at these tasks that with the goal involved, is it realistic and are you committed to doing that? So you want to reassess at this time if it’s realistic, once you realize the whole big picture of what it takes to achieve that and is it realistic? Once you do that, once you check in and you realize yes, it’s doable, realistic and that you're committed then you want to label if it’s a quick win that you can do, something that you can mark off easily. If it’s a longer term, maybe it’s an ongoing task or maybe it takes longer to do like the actual saving for the trip is going to take maybe longer right? But that’s the whole goal. That’s the whole goal. You’re going to label in terms of how quick you can achieve it, if it’s going to take a little longer, you want to make sure you label that and then you want to schedule that right? Let’s say we’re talking about the trip to Cancun and one of the tasks was to really do that research and figure out how much approximately the estimation that this trip was going to cost. That’s something that you can Google, take a look at the flights, take a look at hotel, maybe some packages and figure out. You can put a date to get it done and put it actually on your calendar, especially in the age of smart phones, if you use one you can put an alert so it goes off, it gives you a heads up, “Hey, I got to be doing this by this date,” okay? Again, you take that goal, put it on a sheet of paper, circle it and then you’re going to start drawing lines of the different tasks that it will take to achieve that goal. Those tasks remember aren’t always physical, some of them are mental and that’s a key of something that’s important that you want to be aware of that. You want to make sure that you write those down and make sure you’re aware which are mental, which are physical. And then you’re going to prioritize and see as to which one you should do first just thinking in terms of how long it takes to do, the difficulty, the willpower, those type of things and you’re going to reassess. Again, make sure it’s realistic to do and that you’re committed okay? Of course, you want to make sure that once you look at all those task and you assign them deadlines then you can look at when it’s a good, realistic timeframe for you to be able to achieve that goal, okay? The fourth part of this is to get to work right? You don’t’ want to map all these out and just let it, keep it under the books somewhere or it stays under the couch or whatever. You got to get to work. Also, keep in mind you want to be flexible and gentle with yourself. You’re probably asking about, “Well okay so I do this, but how does this exactly fit within my finances within the budget, within your money plan?” Which is a great question to ask. But this is not the scope of this episode, right? ‘Cause remember, that would be just way too much and remember my love affair to with being simple, I love being simple. So I don’t want to take that step. You’ve heard me talk about my Fearless Money Sisterhood membership program. In that program, that you can try for a dollar for a month and I’ll tell you the details later. You can get access to what I call my Ultimate Money Kit. Which in that class, it will take you through some of what I took you through today but it’s going to be more in depth and that’s where it’s going to help you dive in to the numbers and figuring out, achieving a doable number and seeing how you can apply that to your current financial situation, to your budget, to your money plan and what to do there. That Ultimate Money Kit within the Fearless Money Sisterhood membership program gets you all the details because we don’t have enough time to cover that today. I’ll tell you how to get access to this and the dollar trial in a moment. I want to go ahead and recap what we talked about today. We talked about just the different way of looking at creating those goals in a rebellious way if you will. We talked about the four parts of this framework and the first part was gaining clarity because that’s key, ‘cause that’s what a lot of people fail to do is gaining that clarity. They just write a goal but they need to get clear as to what they really truly want and what’s important to them. Then the next part of the framework, the second part was prioritizing. So in terms of are these long-term, short-term, midterm goals? And then ranking them in importance of within those categories, making sure that you assess and do a check in to make sure that it’s realistic for you and that you are committed. Then after that, the third part is really creating our road map where you draw out the exact tasks, which remember, they’re not all physical. Some of those are mental tasks that you need to get done in setting those deadlines. The final part is really getting to work and taking that action. That’s probably the most important part because you can draw a great plan and if you don’t’ take action, it doesn’t do anybody any good but you also want to be flexible. So tell me, when out of all this four part framework, when are you going to get to the first part of this framework? I really want to challenge you to do this, to write down everything that you want to achieve, okay? I challenge you to do that in the next 48 hours. From when you’re listening to this episode okay? If you get down within 48 hours, let me know in our private Facebook community and of course I’m using the honor system here. I don’t know when you’re listening to this but I do trust you, I’ll trust you that you’re going to tell me that you did it and did complete it in the 48 hours. Now let’s just get to some real talk, just you and me because even though I’m challenging you to do this within 48 hours, will you get to this? will you actually do this, what I set for you to do right? If you answer, “There’s no way I’m going to forget about it, like it’s in the way, it’s too busy,” whatever the case may come to your mind. Maybe it’s because you need some accountability right? Some support, some guidance and it’s completely okay if you do. We all do, I mean think about it, at one point or another we’ve had accountability and support and guidance of some sort, in school, when you’re in school you had your teacher, at home, growing up you had your parents to make sure that you either did your homework, made your bed, behaved, they held you accountable. In school obviously they held you accountable to homework, behaving in school, those type of things. But, when we became adults and were out in the real world, we either have to become accountable to ourselves or really find some accountability. That’s why there’s personal trainers at gyms, there’s coaches of all sorts and programs to help you achieve certain goals. If you know in your heart that you need accountability, that you need support that you need guidance, I really want to invite you to my membership program that I talked about, that’s called the Fearless Money Sisterhood. Even better, I want you to test the waters for just one month for only one dollar, that is it. You can check out the details at Jenhemphill.com/dollar. I really make it super easy for you. I know I personally don’t like starting subscriptions just in case I don’t like them, I’m always afraid if I start something and if I don’t like it then I forget to cancel it, it’s just a hassle right? Because I know life gets busy, I will personally send you a reminder, you’ll get a reminder, okay, it’s automated but you’re going to get — I’m going to set it up so you get a reminder five days prior to your trial being done, right? Again about two days prior to the trial being done. So you’re going to get two reminders prior to your month trial being over okay? It’s really the probably the super friendliest dollar trial as it’s no hassle. ‘Cause once you’re nearing that month trial period, you have two options, you can hit reply to that email and say just, “Cancel my subscription,” which I hope you don’t but I’ll respect the decision if you do, I really think you’ll enjoy this or you can do nothing, especially if you want to continue with a membership and that would be $25 a month after that. You can get all those details at Jenhemphill.com/dollar. 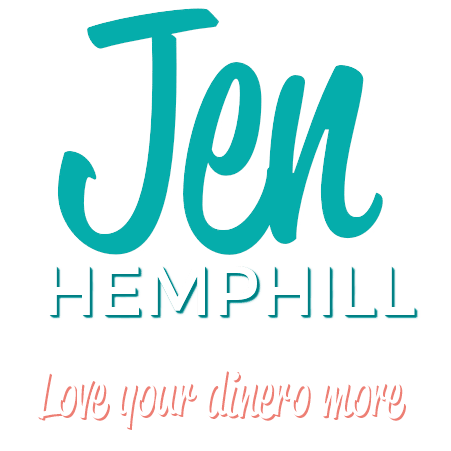 That is a wrap for today, thank you so much for taking time out of your busy schedule to tune in to the show, you can check out the show notes, if you want to take a look at the transcript or just want to take a look at the brief summary of what we talked about at jenhemphill.com/34. Thanks again and I will talk to you again next Thursday.